Baciocchi Associati has designed inside Nilufar Depot a cubic architecture, which contains a precious and elegant dining room. Form and content, interior and exterior blend perfectly together. Architecture meets interior design in a harmonious conversation. 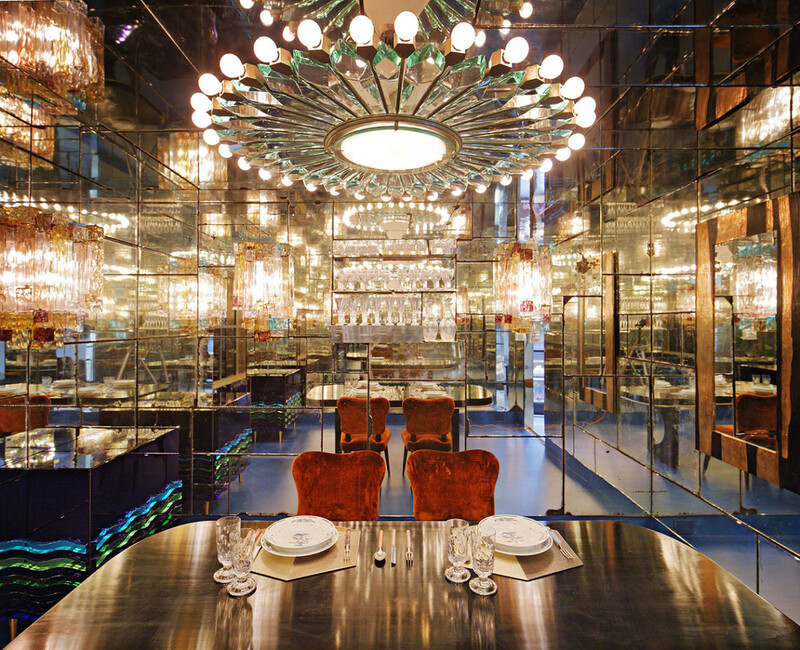 Moreover, Baciocchi Associati designed the first tableware for Nilufar, scenically presented inside the “Mirror Room”. The mise en place, composed by cutlery, plates, glasses and placemats in unique editions, bear a great design richness, result of research, sophisticated historic references and excellent Italian manifacture.